Lance Major is the Director of Bands at American Fork Jr. High School, Assistant Director of the American Fork High School Marching Band, and a freelance musician. 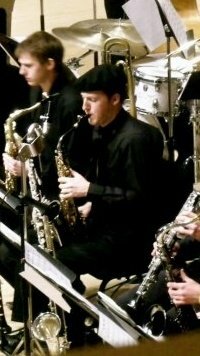 Proficient on all five woodwind instruments, Mr. Major continues to be an active performer as well as educator. Mr. Major received his Bachelors of Music Education from the University of Utah. 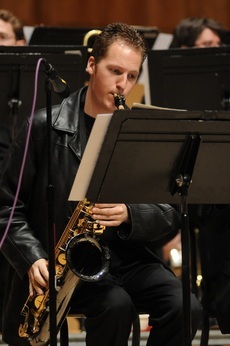 While there, he performed in all of the school’s top ensembles, including the Wind Ensemble, Philharmonia Orchestra, Jazz Ensemble, Jazz Combo, and multiple chamber music groups. Mr. Major has studied extensively with many of the top woodwind pedagogues in the state, including Kathy Pope, Mark Ely, David Halliday, Greg Floor, Susan Goodfellow, Ray Smith, and Daron Bradford. His performances span across the globe, with venues in Germany, Austria, China, and throughout the continental United States. Between performing as a U.S. ambassador of jazz music to China, playing orchestral music in Carnegie Hall, or playing in a reggae band at a local dance club, Mr. Major has the knowledge of, and continues to be, a proficient performer. Mr. Major also brings an extensive background of teaching to the American Fork band program. Mr. Major student taught at Farmington Jr. High school with Heath and Christine Wolf, was the band director for a semester at Mueller Park Jr. High, and has spent two summers at Cazadero Performing Arts Camp in Cazadero, California where he was the head saxophone instructor and assistant bassoon and clarinet instructor. In addition, he maintains a small private studio of highly dedicated clarinet, saxophone, and bassoon students. Mr. Major is a firm believer of the value of music and the arts in school programs. Band not only develops the learner as a musician, but as a student and person as well. Mr. Major is thrilled to be a part of the American Fork band program and is greatly looking forward to his first school year there.